The Douglas DC-8 is a passenger and cargo jet airliner developed and built by Douglas Aircraft during the 1950s. Introduced to airlines in 1955, the DC-8 joined the Boeing 707, Convair 990, and others as the first jet airliners to transform commercial airline service from piston and turboprop engines to turbojet engines and swept wings. Its slightly wider fuselage than the B-707 provided enough meaningful differentiation to compete strongly with the 707 by seating passengers more comfortably and carrying more cargo. Models 10, 20, and 30 used Pratt and Whitney engines, and Model 40 used Rolls Royce Conway engines. Various models of DC-8s were flown domestically and internationally by many airlines around the world. 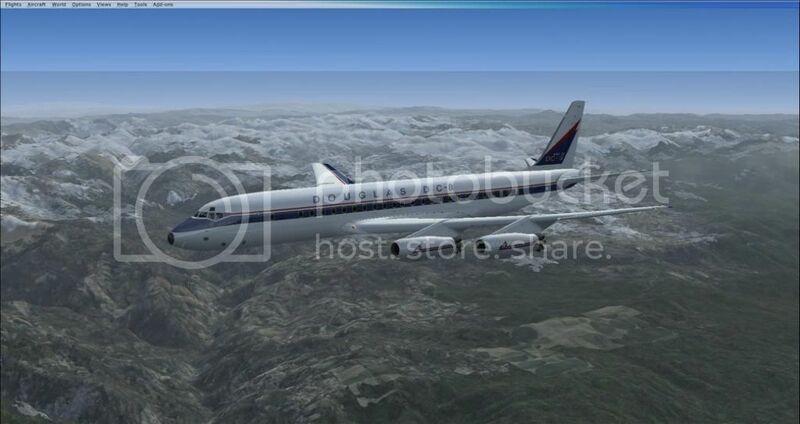 The last DC-8 models were manufactured by McDonnell Douglas in 1988, and a few DC-8 models are still flown today. The exact number of currently active DC-8s varies among sources, some of which have not been updated in a few years. For general comparison, DC-8 models 10 through 40 were larger than the stock Boeing 737 in FSX and smaller than the FSX 747. DC-8s were longer, wider (wingspan), and heavier than the 737-400, and they carried more weight. With the 737's more efficient modern engines, however, it can fly farther than the DC-8s. 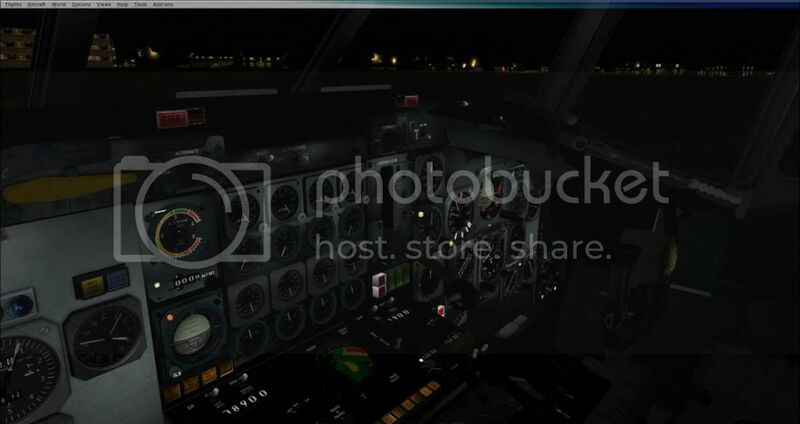 The table below compares Just Flight's average DC-8 model with FSX's stock B-737-400. 1. Cruising speeds for each aircraft were found in their respective kneeboard reference sheets and configuration files. Maximum speeds for each were found in their kneeboard reference sheets but not in their configuration files. 2. The DC-8-20 had four 15,800-lb (11,782-kw) Pratt and Whitney engines for a total output of 63,200 lbs (47,128 kw). FSX does not specify power values for its 737-400. Other sources show from 22,000 to 27,000 lbs for each of its two engines depending on what a given airline purchased. My DC-8 descriptions provide a basic overview of this venerable aircraft, and my table shows how the DC-8 compares to a stock FSX aircraft. Detailed descriptions and data are available from Just Flight's documents and other sources. All screen shots are by me unless otherwise attributed. The DC-8 should be a classic and a must have for any simmer interested in the 'heavy metal' of the 1960's through to the 1980's the peak usage years of the DC-8 alas it is not. While there is much to appreciate and commend the model still has a number of bugs and design issues that JF needs to fix (Visit any number of forums and you will see the issues). I have given this aircraft model a good workout over quite a few sim hours and was happy with its performance and handling which is realistic but the autopilot is a problem and for many installs just will not work as advertised, it is difficult to use and prone to not working properly. There are errors in some of the instruments and there is no OAT guage. The models ground handling is poor and there seems to be problems with contact points as it wiggles about like a Cessna C172 not a heavy four engined jet. Oh and the fuel system is still unfinished and not operable 100% yet. All in all the latest upgrade SP2 (which all purchasers would automatically get if they buy) has done wonders for the textures since the first release and some of them are outstanding. 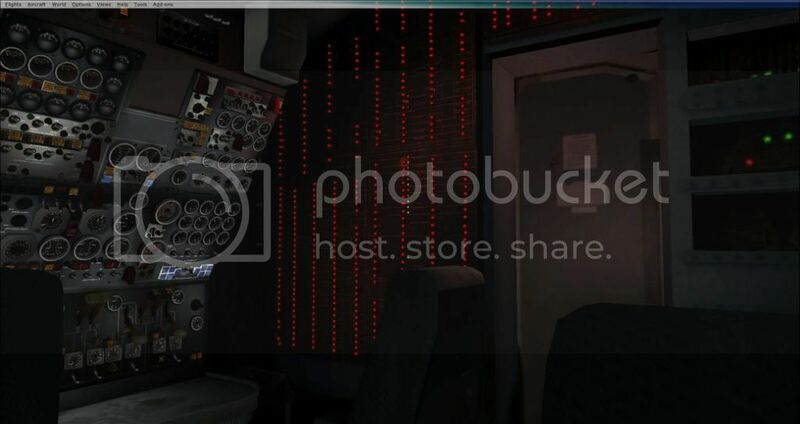 The night cockpit lighting is the best I have seen on any model. I have a system similar to the reviewer and have not noticed that it is particularly heavy on frame rates or graphics but it is still a little slow if there are other heavy graphic loads such as traffic and weather in the system. I think a little bit more time and perhaps a higher price would have pitched for more quality in this model but if JF can get a lot of the bugs ironed out then it will become a classic. Love this plane! It is among my favorites in the real world and remember flying in them; and this is a great add-on. This add-on is very realistic. There a few items to correct that JF knows about, and the SP2 corrected/enhanced many of those items as oldcrusty noted. I am excited about the -50, -70 Super 8 that JF will be releasing.